Is your world the high mountain terrain? It lies at your feet with the Masao HS Hooded Jacket Men, which protects you from the wind and weather. 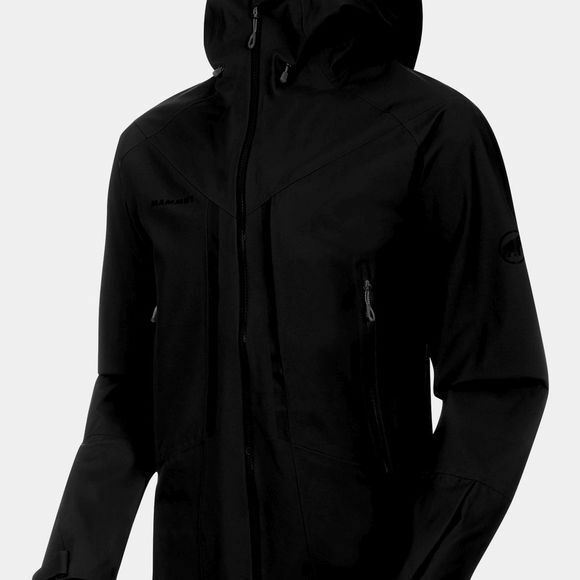 On the outside, the jacket banks on 3-layer Mammut® DRYtechnology Pro material, which makes it wind- and waterproof. 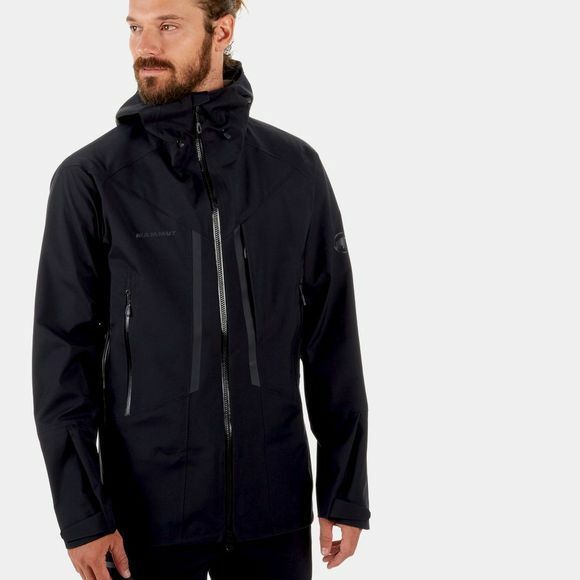 The jacket is also breathable and wicks away moisture to the outside, if your tour becomes more strenuous at rising altitude. A range of sophisticated features makes the jacket your best mountain companion: the hood is both stormproof and helmet-compatible. Functional underarm gussets provide optimal freedom of movement, and the adjustable cuffs are glove-compatible.